Mike Scott Racing is pleased to announce the formation of a new Top Fuel Harley team that will enter the 2017, NHRA Mellow Yellow series at the next race. They will compete in the remaining six events of the NHRA T/F Harley, Mellow Yellow racing series in 2017. Starting at the Denso Spark Plugs, NHRA Nationals, to be contested at The Strip at Las Vegas Motor Speedway, on March 31 to April 2nd, the new Horne/Romine/Scott, Top Fuel Harley team will take it to the competition with a championship bid for the 2017 title. With sponsorship support from; Tridyne Projects Corporation, Zedcor Energy Services, Royal Camp Services, Pipestone Projects Inc, The Crossing Group and Horne Concrete, the team is race ready. The Horne Concrete Top Fuel bike is a 2013, Weekend Frame Works chassis by John Storace, with a Romine Racing 191 CID Mike Romine motor in it. 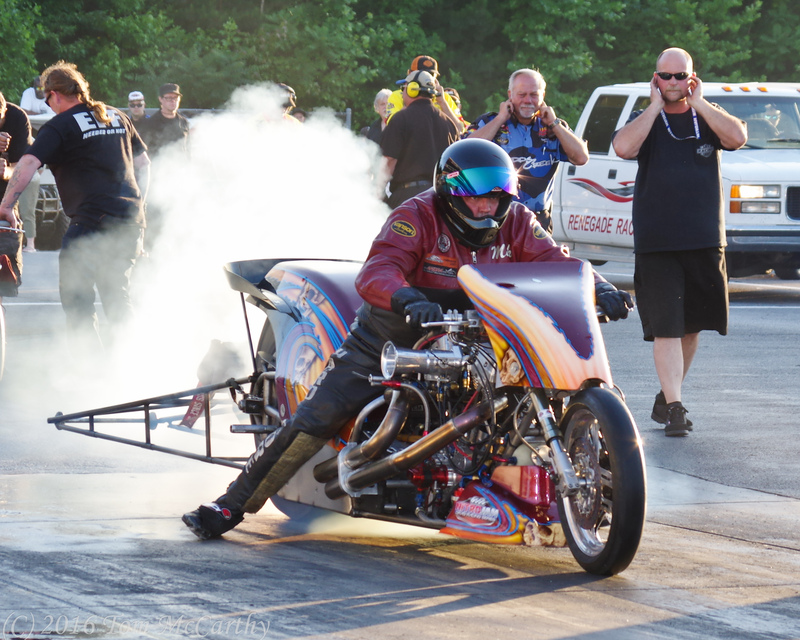 The combination has a previous best 6.20 when Doug Horne last piloted the bike in 2014 at an NHRA Divisional race featuring the Top Fuel Harley class. Mike Romine has freshened up the bike and it’s race ready. Mike has tuned T/F Harley bikes to over a dozen championships since he began racing the monsters in 1985 himself. in the article it states Mike Scott was the 2014 Nitro NHRA champion not accurate, Tommy Grimes was.